Leading the olive oil industry by offering a full line of certified Kosher products should not come as a surprise to fans of The Olive Oil Source. We recognize that it is as important to offer products that meet nutritional dietary needs as well as cultural ones. The new line is certified Kosher and Pareve and includes many different varietals, including certified organic options. 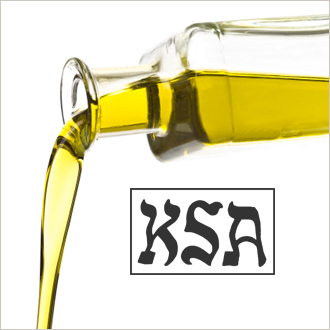 For more information and to place an order, check out our kosher products at The Olive Oil Source Wholesale Store. This month, we launch our new recipe video program, starring our favorite extra virgin olive oils with delicious recipes created by The Olive Oil Source Kitchen. Food and wine specialist videographer, Jeremy Ball works with on-camera talent, Michelle Lee Ball to introduce you to some of the best recipes from The Olive Oil Source. Our pleasure is to create tasty, seasonal dishes that make the most of our best olive oils and balsamic vinegars. You’ll be treated to a simple video lesson on preparing these dishes and the accompanying recipe will be posted in each monthly newsletter, so that you can easily make the dish at home. Grab a front row seat and get out the popcorn!